I found myself an early Xmas present yesterday while out running errands. 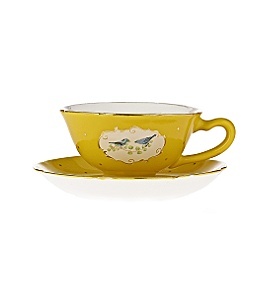 Anyone who reads this blog knows I’m a bit of a tea fan. 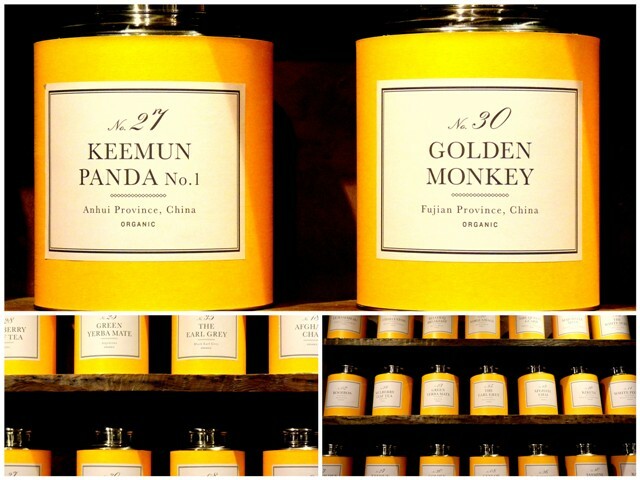 So I was definitely a little thrilled when I saw this darling little package on the shelves of Kapok in Wan Chai. As you also know, I’m a bit of a sucker for nice packaging, which is why this caught my eye. Upon further investigation though, it turns out Steven Smith tea is more than just a pretty face, its also a producer of artisanal small batch teas. I picked myself up a box of the Kandy No. 23 blend (above), and was a tiny bit disappointed that they were tea bags (although still full leaf and very high quality)…I do love to brew a nice pot. 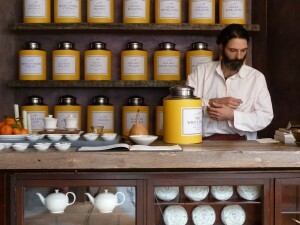 A bit of further investigation on their website and it seems they do also sell loose leaf tea…I’m just not sure if it’s available in Hong Kong. They’re based in Portland, Oregon and have a very cute looking shop front, however for the rest of us they do also ship overseas. 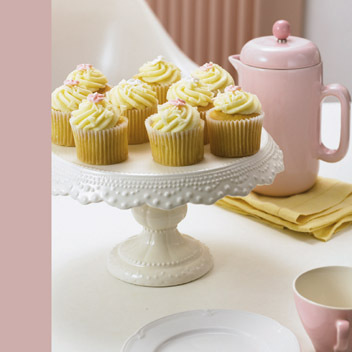 Will someone put the kettle on for me? 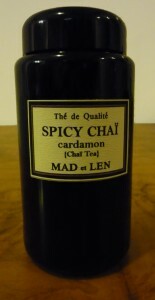 I came across the spicy chai blend by French artisinal apothecary company, Mad et Len, in the Causeway Bay I.T. 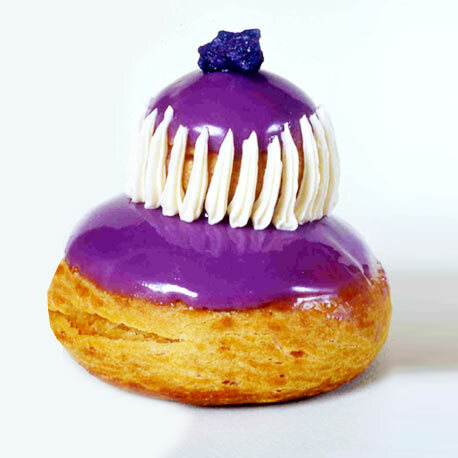 store before Christmas. I couldn’t wait to get back to the Hong Kong winter after my holiday to give it a try. Its not quite as spicy as the label suggests, its actually quite mild, but still very nice. It seems my hunt continues. I’m not sure anything will ever come close to my favorite tea house, Kusmi. As I’ve admitted before, I’m a sucker for packaging, and of course this is partly what attracted me to the tea (although the list of ingredients also sounded pretty yum). 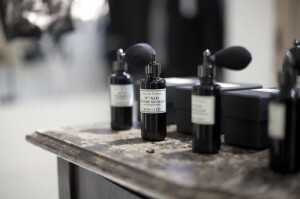 So, I think I need to track down a local stockist for their perfume and bathwares as those black bottles with atomisers are so cute I don’t even care what’s in them! I discovered a new (to me) tea label at Lane Crawford over the weekend, Bellocq. I’m a sucker for nice packaging, and the bright yellow and polished stainless steel canisters definitely caught my eye. I bought myself a tin of their “Queen’s Guard” blend, which is a mix of Organic black Ceylon tea, organic rose petals, organic lavender and organic cornflowers. 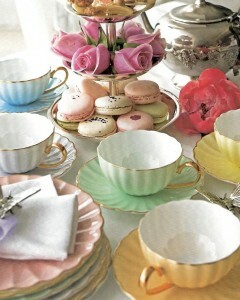 Its a lovely light tea, perfect for the afternoon, and a little sweet (you can definitely taste the rose petals). Their range is quite large, but I think Lane Crawford (Pacific Place) only stocks a few of their blends. I’m keen to try a few more, in particular their Breakfast blend and the Afghan Chai – a mix of Organic Assam black tea, organic red poppy flowers, green cardamon, star anise, ginger, clove and black pepper…. sounds yum! I was on a mission yesterday to buy some more of my favorite tea, which is now thankfully stocked here in Hong Kong by Lane Crawford. 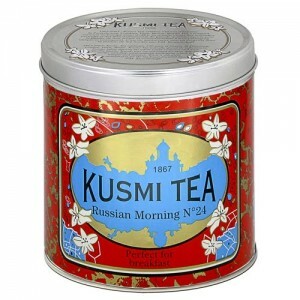 Kusmi, short for Kousmichoff, is a 140 year old Russian Tea house that is now based in Paris. I first discovered Kusmi teas in the then recently opened Dean & Deluca store near Tokyo station when I lived there almost 8 years ago. It was like paradise for an expat in a city where “import stores” could be almost an hour away! Ever since then I’ve been hooked. My husband and I spent hours in the Paris store when we were last in Europe smelling almost every blend and walked out of there with a small fortune that might have once made the East India Company threatened. Well maybe not quite. Anyway, flash forward to not too long ago and I was having to ship the tea via the US because nobody stocked it in Asia…until now. Thanks Lane Crawford! Our favorite blend of the lot, and trust me when I say we’ve tried almost all of them, is the Russian Morning No.24 – its the perfect morning tea. Not too strong, smooth, but with a great kick to it. 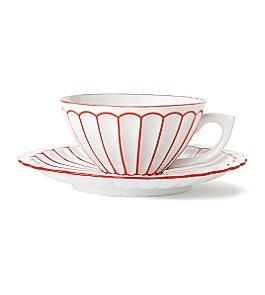 Think I might go make myself a cup now! I recently received my copy of the new Pink Martini album ‘Hey Eugene!’, which I’m very excited about. My husband and some friends and I will be seeing them while we are in New York next week, so I’m extra excited. 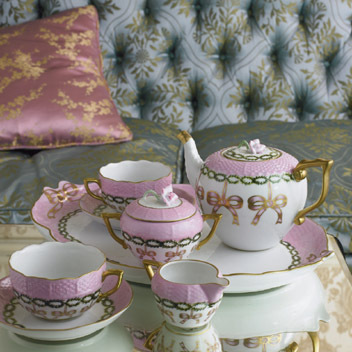 Speaking of which, they’ve done a cover of the song “Tea for Two” which has inspired me to post some beautiful pictures I’ve found of tea and tea sets. I found these two images on the Anthropologie website – one of my favorite shops in the US, which I’ll be sure to visit while I’m in NY next week. So cute! 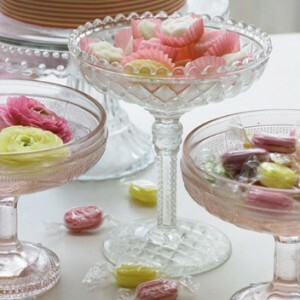 These images are from Plumo which I found through a fellow Australian’s blog, Anna from Absolutely Beautiful Things. Thanks Anna! Love your blog by the way. 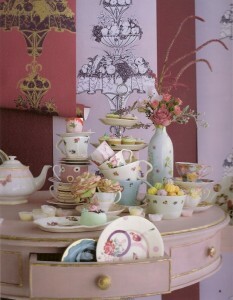 Some more tea pots, tea cups, and accoutrements that I’ve found in magazines. 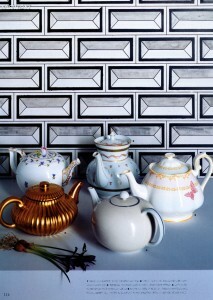 I actually collect teapots, and would love any of these to add to my collection! 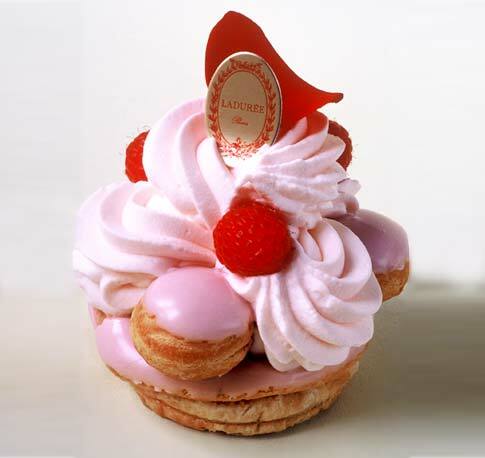 A colourful and delicious looking selection of desserts from Laduree and Le Gouter perfect for serving with the best tea. 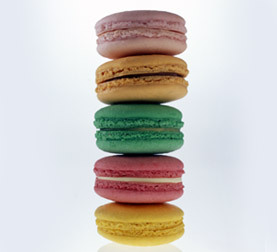 The macaroons are my favorite! These delectable desserts and beautiful tea sets are fit for only the best tea. 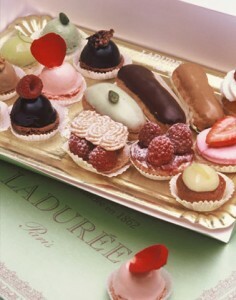 My favorites are french of course! 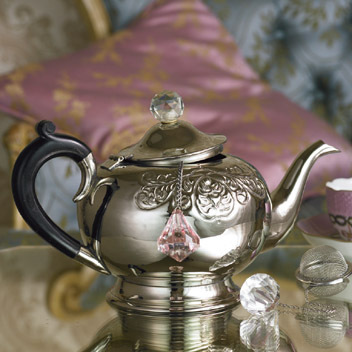 If you are a tea nut like me, you will only drink tea from a brewed pot, none of that teabag rubbish! Check out Kusmi, Palais des Thes, Mariage Freres, or if you aren’t a tea drinker, the most gorgeous hot chocolate from New York company MarieBelle.